This is a funky slim fit mens shirt. 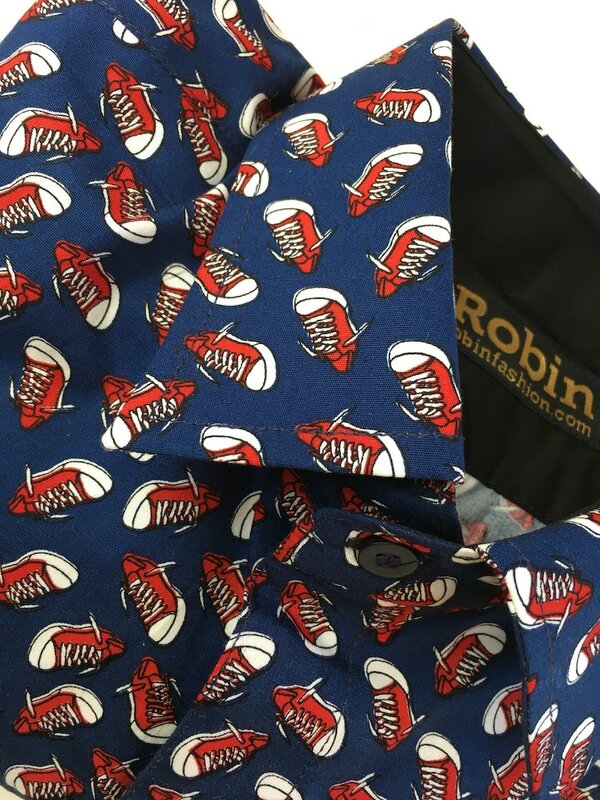 Red Converse trainer print on a dark blue base. Only created one, beautifully stitched, French seam sides and sleeves, anti rip triangle at hem sides, playful detailing with solid black inside cuffs and collar.